Your beauty should be free of additives, toxins and unpronounceable nasties. What you apply should be akin to what you consume, good for you both inside and out. March’s box is all about clean beauty, that is products which are transparent; no hidden ingredients and everything listed in plain sight. We are promoting beautiful skin with wholesome ingredients: ancient super ingredients used for time eternal to promote skin renewal, luxurious botanicals to cleanse and a myriad of naturally occurring skin reviving goodies for beauty bliss.. Featuring 4 FULL / Super Deluxe sized skincare treats. I'm a huge fan of green beauty so I was thrilled with this months curation. The votary cleanser is my all time favourite cleanser. I think oil cleansers are suitable for all skin types and I love the flannels that come with this product (have to admit I've bought a box of them I love them so much!) the face oil is such a dream, it smells incredible. The eye cream is delicate and floral and you only need a tiny bit! I love everything I have tried from Ila and am overjoyed to see them when they come in a box! This could be one of the best smelling beauty products I have ever tried. I cannot recommend the box enough every item is such a winner! Loved this months edit, the votary oil left my face feeling plump and delicious the smell of the oil was beautiful, also I love the Olivia facial brand and this oil did not disappoint it had a gorgeous smell and it worked perfectly into my evening routine. 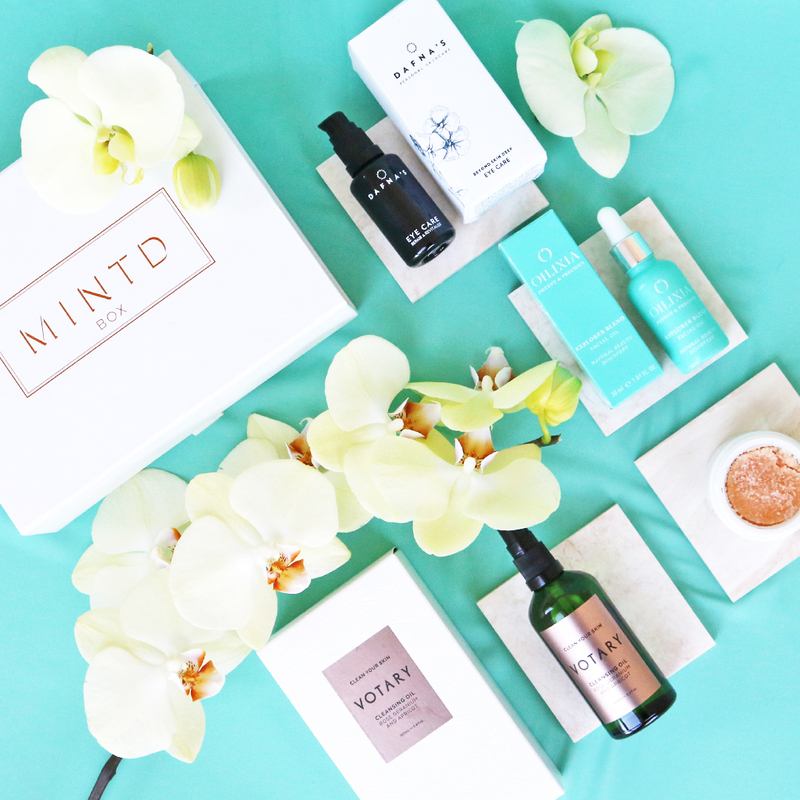 This was my very first ever Mintdbox and it made me sign up, because all the products shouted out to me. I wasn’t disappointed, they are all so fabulous and amazing value for money. Get it! I loved everything about this months box. I have dry, sensitive skin and every product was a treat for my skin, no reactions. 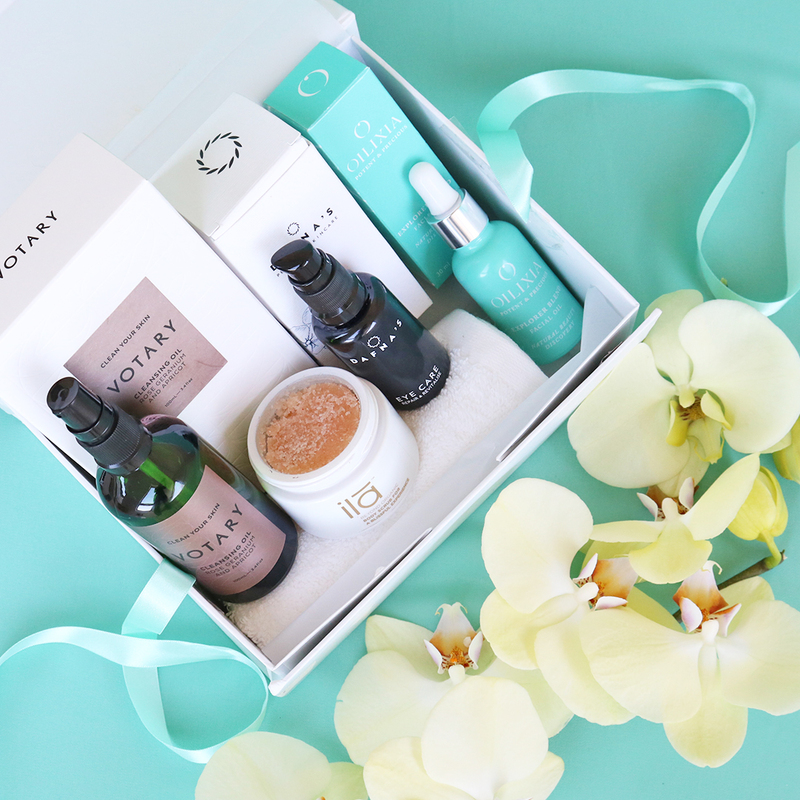 The Votary cleanser and the Oilixia facial oil left my skin baby soft and hydrated. My mother used the eye gel and has taken it for herself...she was so impressed with it. The body scrub has a scent that is heaven on the senses! Love the ila spa brand. I do hope you include more from this range. Overall I loved this month so much; I m going to buy another!